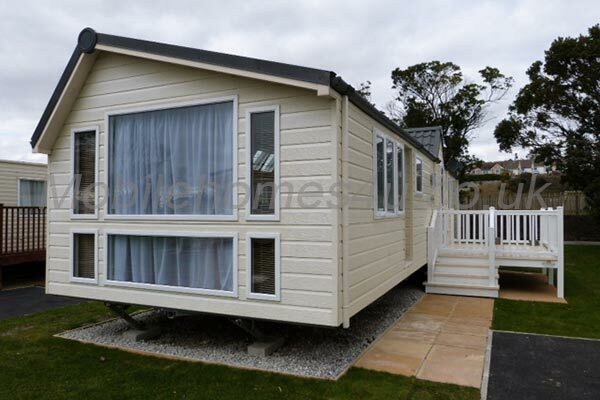 The Atlas Expression 2 bedroom caravan is located on 5 star Par Sands Holiday Park, Cornwall. 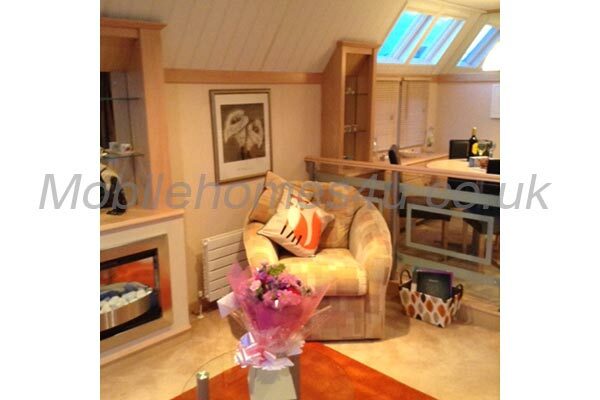 The modern home is fully heated with double glazing throughout and is fully equipped for all your needs. The modern living area has a free standing sofa one of which doubles as an additional bed, chairs, gas fire, coffe table, TV with Freesat, DVD player. 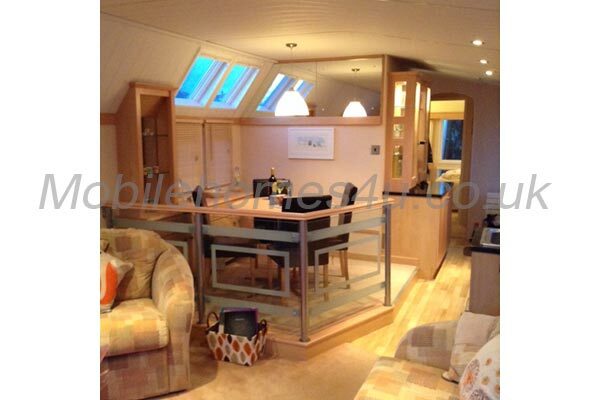 The living area is then open plan to a mezzanine dining area. The modern fully fitted kitchen is equipped with all the essentials including fridge freezer, microwave, toaster. The master bedroom boasts a king sized bed, there are spacious fitted cupboards/wardrobe/dressing table and an enclosed cupboard which houses a TV. The further bedroom has twin single beds. 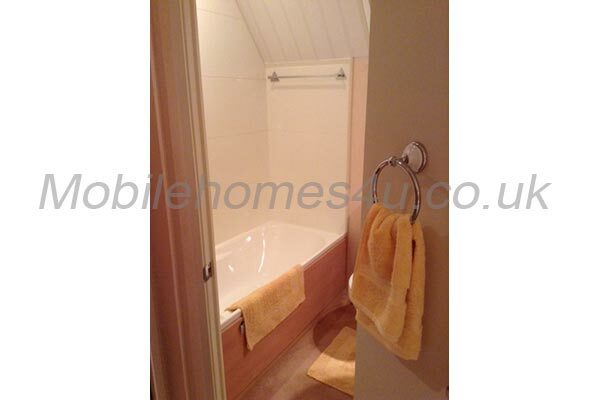 The bathroom comprises shower, basin and toilet. 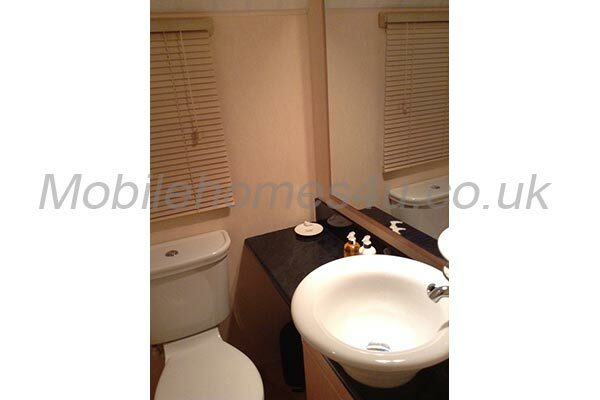 There is a further ensuite which has a full sized bath, basin and toilet. 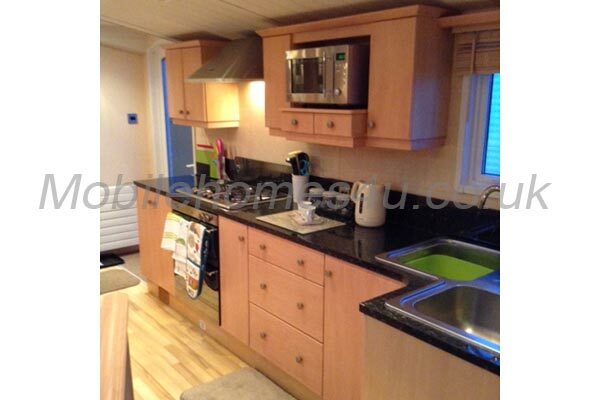 The caravan has a veranda which has additional seating and dining furniture. There is also a patio area, grassed area and a private parking bay. Indoor Swimming Pool - Leisure Complex - Play Areas - Miniature Pitch and Putt - Tennis Courts - Entertainment Programme - Milos Italian Bistro - Takeaway - Cafe. 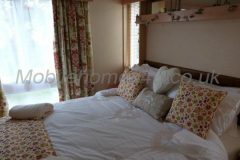 Linen is provided for all bookings. 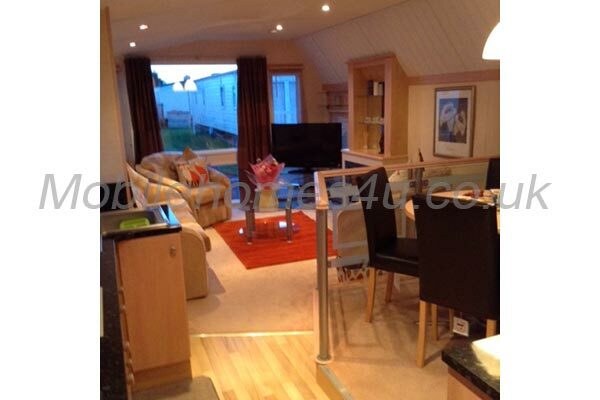 £100 (non-refundable) deposit upon reservation. Balance payable 6 weeks beforehand. Check-in from 3.00pm with check-out by 10.00am the following Saturday. 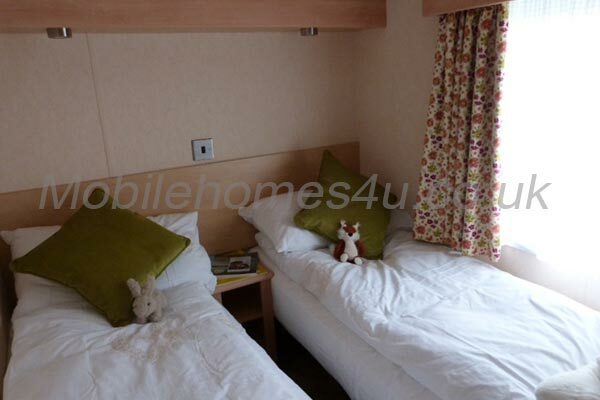 Ask us about special deals and short breaks.